Here is this week’s list of short stories, photos, and other links from my favourite corners of the web. Happy Hanukkah! This is the last piece of Rockets art I’ll be sharing with my readers unless the owners of that blog decide to update it again. I hope you’ve enjoyed the links to it I shared several times over the last year. 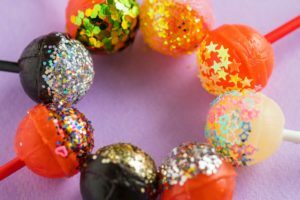 Sweets on a Plane – Will TSA Confiscate Your Candy? It’s time to start thinking about this if you have any travel plans over the holidays and are hoping to bring sweets along with you. December 1st. Brace yourselves. The holiday season is about to go into high gear for the next month. 5 Ways to Make Your Flu Recovery Faster and Easier via KittyDeschanel. Hopefully all of my followers will stay healthy this winter. If you do get sick, this post has some funny and possibly quite helpful tips to make you feel better. How I Stopped Emotional Eating and Started Feeling Better About Life. I’m the sort of person who loses their appetite when I’m going through very rough times. (In order to avoid misrepresenting myself, this has only been a problem for me on rare, limited occasions. One bad day, week, or even month won’t do it). Still, it was fascinating to see how someone who takes the exact opposite approach to food has learned to have a healthier relationship with food and with herself. Handling Holiday Guilt via DrJanaScrivani. Ooh, this was a good read. 11 Little Mental Health Tips that Therapists Actually Give Their Patients. Does anyone know how accurate this article might be? Why would she even want to go on The Hero’s Journey in the first place? She already has a lot to deal with at home. Slaying the Great Dragon of the North does not really seem like her thing.